Casablanca witnessed two fires on Tuesday, a bus bursting into flames in the middle of a street and a wholesale vegetable market destroyed by fire. 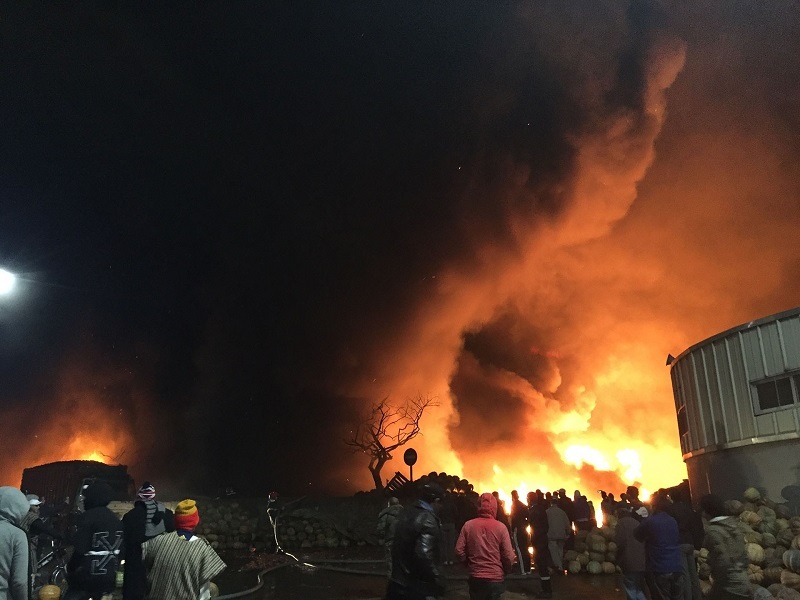 Rabat – On Tuesday night, a massive fire broke out inside a wholesale fruit and vegetable market in Sidi Othmane, Casablanca, destroying many shops. Police have not yet reported the cause of the fire as investigations are still ongoing. 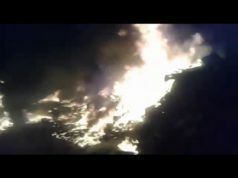 Photos and videos of the incident show many citizens gathered near the market while firefighters try to put out the fire. 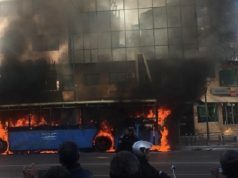 That same day, a bus caught fire at the intersection of Boulevard Mohamed Zerktouni and Boulevard Anfa in the economic hub. The bus belonged to M’dina Bus, a company Moroccans say should be replaced. The company came under fire in November, after a video spread online showing one of its bus drivers using an umbrella to take shelter from rain leaking through the roof of the bus. The driver was reportedly fired because the video went viral, adding to the anger of many Moroccans on social media condemning the poor conditions of the company’s buses.